The University of Maryland dates to 1856, but while respecting this tradition, the school must have a 21st century look to attract today’s top students. “Today’s college environments need to be fresh, both cosmetically and technologically,” says Frank Dittenhafer, II, FAIA, LEED AP, President of Murphy & Dittenhafer Architects, who has worked on projects with the university for a quarter century. 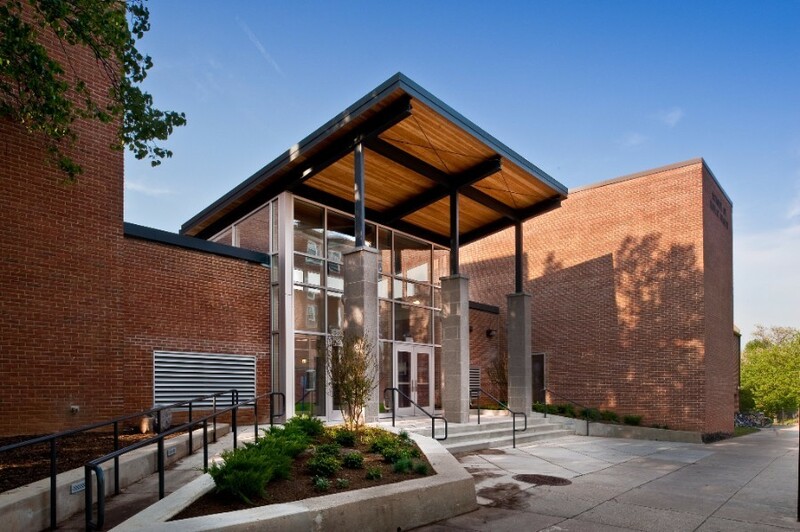 Success in keeping Maryland’s facilities up to date is a key reason Murphy & Dittenhafer Architects has an “on-call” relationship with the school, meaning M&D is one of a handful of go-to architectural firms selected through a competitive process to handle projects quickly. An early project on which Dittenhafer worked was very high profile, and it needed to be a slam dunk. 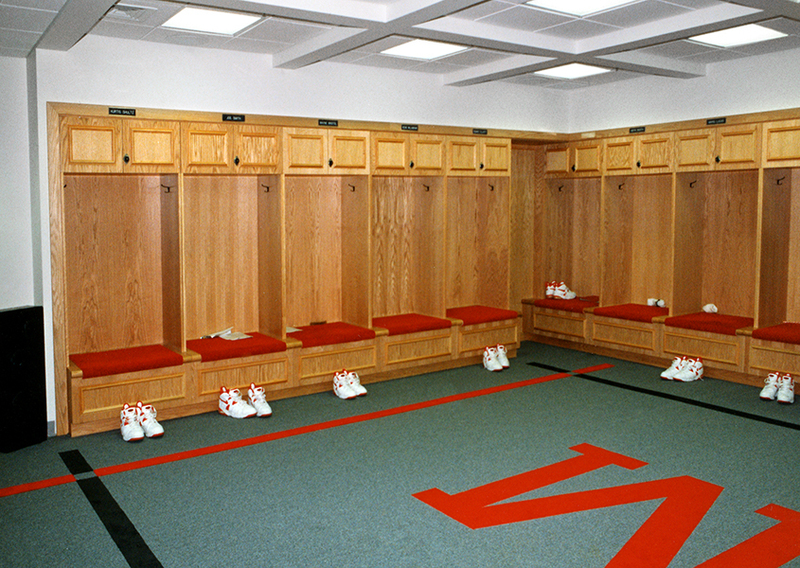 Murphy & Dittenhafer Architects was contracted to upgrade locker rooms, the training facility, and create a media room in historic Cole Field House. M&D did, and in 2002, the Terps won the national championship. University of Maryland’s flagship campus is College Park, but the system includes campuses throughout the state. 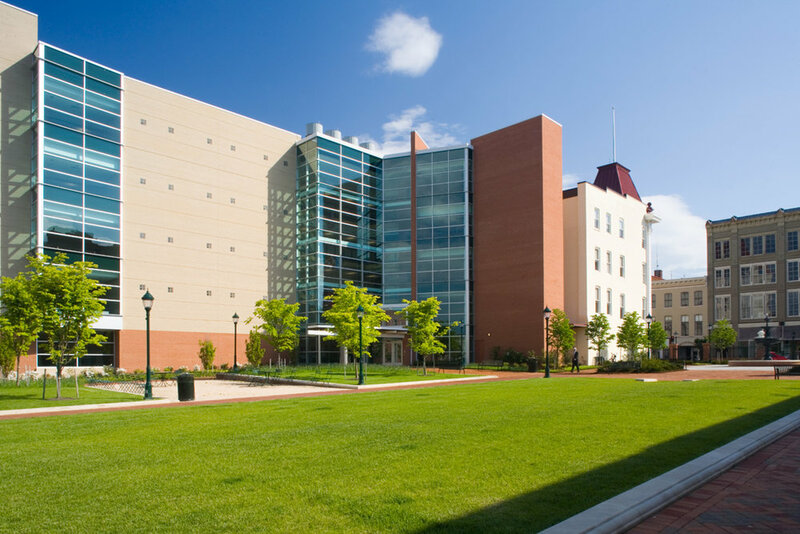 Towson University needed an outdoor space spruced up in 1997. “There was an outdoor courtyard that was kind of forlorn. 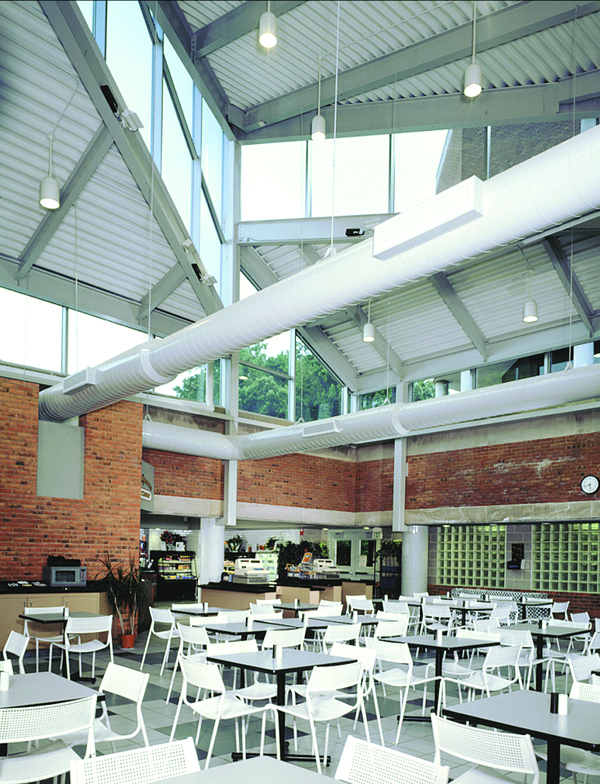 They asked us to cover it and tie it into an adjacent dining hall that was there,” Dittenhafer recalls. Murphy & Dittenhafer Architects built a pyramidal space, covering the courtyard entirely with glass. It became known as the Brick Street Café. “This area became a little jewel. Other buildings actually developed and expanded around it,” Dittenhafer says. He adds that campuses today must be inviting to students both inside and outside of buildings, and the need to create an overall sense of place on campus to connect with students is strong. 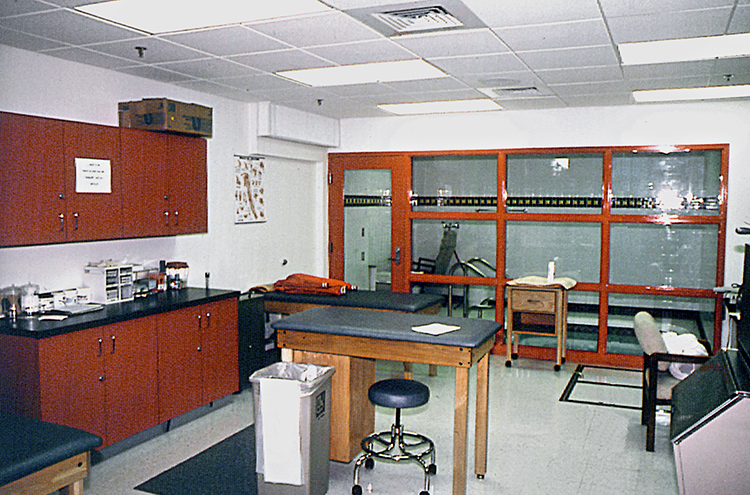 The University of Maryland also turned to M&D to establish a presence in Hagerstown. “Here, we converted the façade of an historic, four-story, vacant hotel, and added significant new construction behind it,” Dittenhafer says. The work connected the renovated facility to a new parking structure. 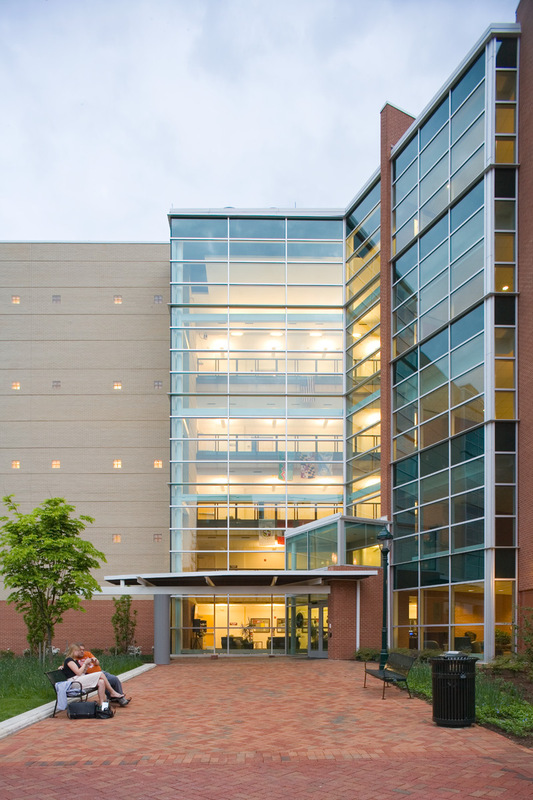 The University of Maryland Center in downtown Hagerstown is now a sparkling space housing nursing and other health related programs. Moving a 160-year-old campus forward is about more than just catching up. Both gathering and learning areas must be places where students want to spend time. 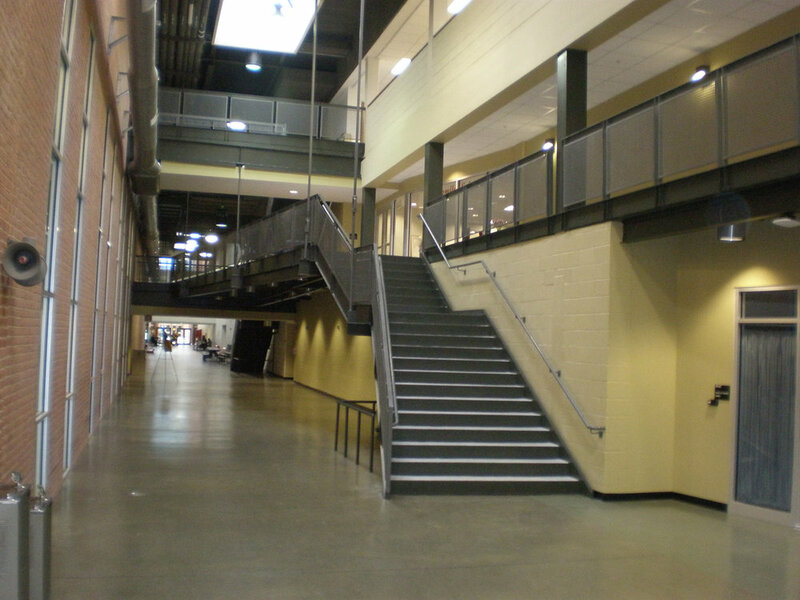 The School of Public Health, meanwhile, had no place to call home, so M&D renovated part of an intramural athletic building. 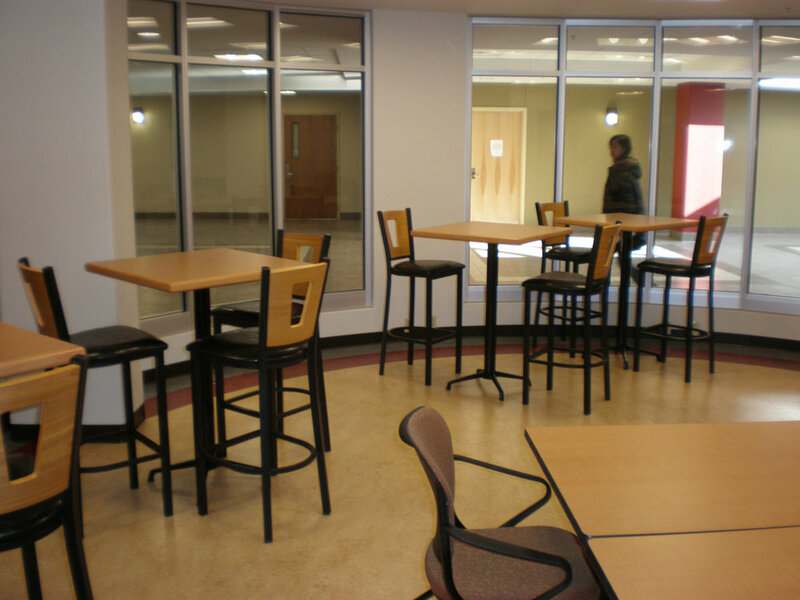 “This conversion created research areas for graduate assistants, offices, and a dean’s suite. This home gave the school the space and identity it needed, and it’s helping recruit both students and faculty,” Dittenhafer says. A modern, world-class university must constantly change and upgrade to stay competitive, as must its learning spaces. 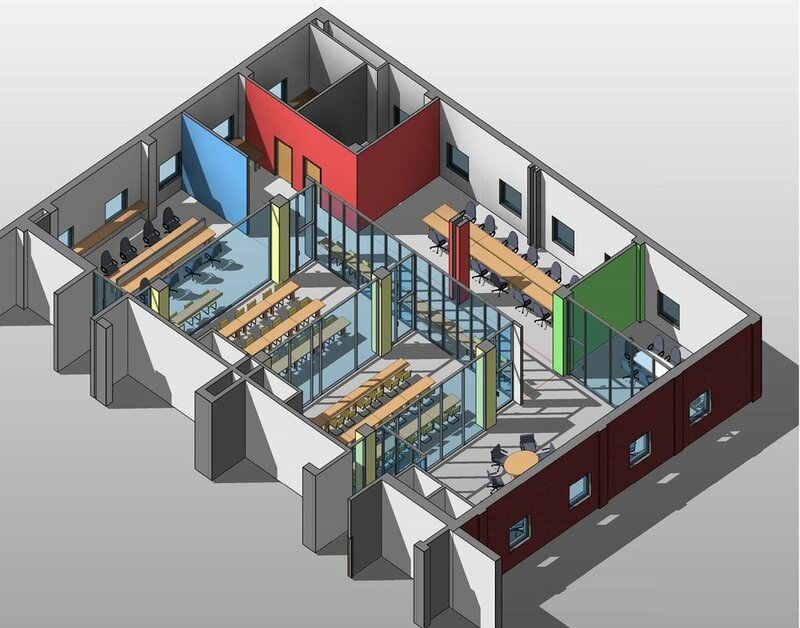 Under its most recent on-call contract with the University of Maryland, M&D is renovating the fourth floor of the Toll Building at College Park for a completely new curriculum. “This entire area is going to be for a cyber security program, a new reality in today’s world,” Dittenhafer says. A 21st century curriculum is critical to a university’s continued success. But the school’s look must be equally current. By continually updating its physical facilities including their appearance, Murphy & Dittenhafer Architects helps the University of Maryland thrive in today’s competitive higher education environment, communicating the school is moving forward and providing students with what they expect, and beyond.